The Marine Corps League Swansboro Detachment #1407 will once again participate in the Belk Charity Day Sale. We will be set up at the Belk's at 5167 U.S. 70, Morehead City, NC 28557. Each ticket is $5 and all money goes to support local veterans. With the purchase of the ticket you will get entry to a Private Ticketed Event to save on rarely discounted brands. The event takes place Saturday 4 May 2019 from 0600 to 1000. You can only get into the sale with the purchase of a ticket. These tickets are good at any Belk store. 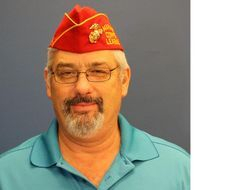 Congratulations to Paul Miethker on being selected as the Jacksonville Outstanding Veteran of the Year 2018 for the Marine Corps League Swansboro Detachment #1407. Paul retired as a Chief Petty Officer from the United States Navy. Since joining the Marine Corps League three years ago, he has volunteered for numerous projects and has assumed positions of leadership within the detachment. He now serves as Senior Vice Commandant for the detachment. The award was presented by the Mayor Sammy Phillips and the Jacksonville City Council on 20 November 2018. Proud Supporters of Marines Helping Marines. Click the logo for website. Tuesday 7 May 2019 at 1830 (6:30 pm). Officers Installation at this meeting. Meeting location Swansboro Moose Lodge, 161 Norris Road, Swansboro, NC 28584. Marine Corps League Swansboro Detachment #1407 is currently headquartered at the Swansboro Moose Lodge, 161 Norris Road, Swansboro, NC 28584. Our meetings are held on the first Tuesday of the month @ 1830. (Please Check our Calendar for meeting Times and all event information). 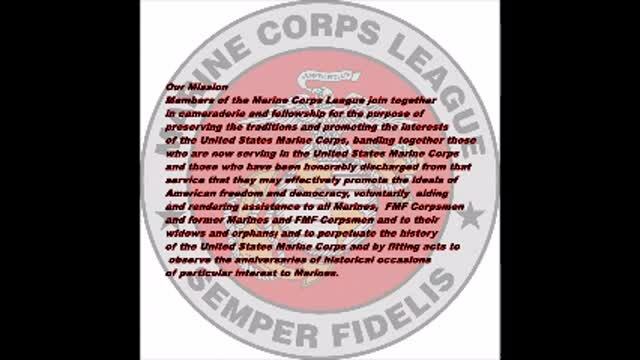 Marine Corps League Swansboro Detachment #1407 is dedicated to helping the Marines, FMF Chaplains, FMF Corpsman and their families in the Swansboro North Carolina area and supports the National Marine Corps League Sponsored Marines Helping Marines Program with information and events. The league works in cooperation with the local community and Marines in the State of North Carolina. 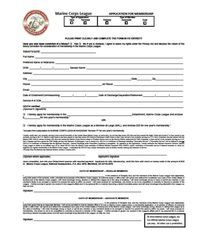 If you would like to become a member, fill out the Membership Application and mail it to Marine Corps League Swansboro Detachment #1407, P.O. Box 83, Swansboro, NC 28584-8572. Or you can contact Junior Vice Bob Shannon or Commandant Steve Tracy at mcls[email protected]. Free Honorary Membership to all active duty Marines.